A recent estimate found this week’s hailstorm that hit Collin County caused more than $300 million in damages. The latest storm that hit Wylie and parts of Plano isn’t going to be the most expensive in North Texas but does push well over $1.5 billion in hail costs in less than four weeks time. 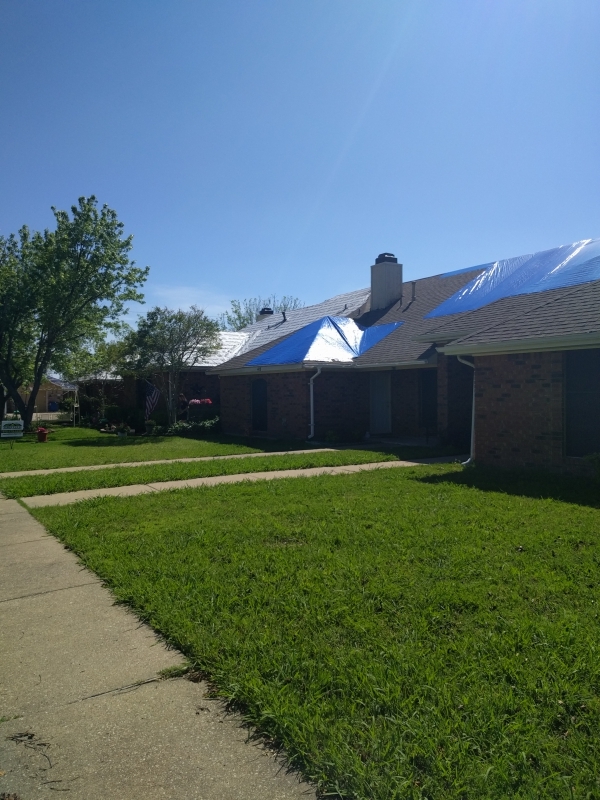 Between the broken windows, A/C units and battered roof, it will be a while before Wylie homeowner Michelle Schupbach’s house is whole again. DFW Best Roofing company owner, Justin Stanfield said, “Whenever damage at this scale happens, there is always a lot of scams.” The Fort Worth Roofing company owner also emphasised homeowners should take pictures of all the damages and make sure the to get a roof inspection from a local company. Shupbach is not sure what repairs will cost but expects it’s going to take at least $50-70 thousand. And the Shupbach family is just one of many families facing major repairs. “Everything facing north in Wylie has just been trashed,” said Joel Beckman with BCC Roofing & Storm Repair. “These things actually got damage to the brick.” The Insurance Council of Texas toured the damage on Friday. It estimates the price tag of Monday’s storm, the third major hail event to hit North Texas since March 17, is around $300 million.